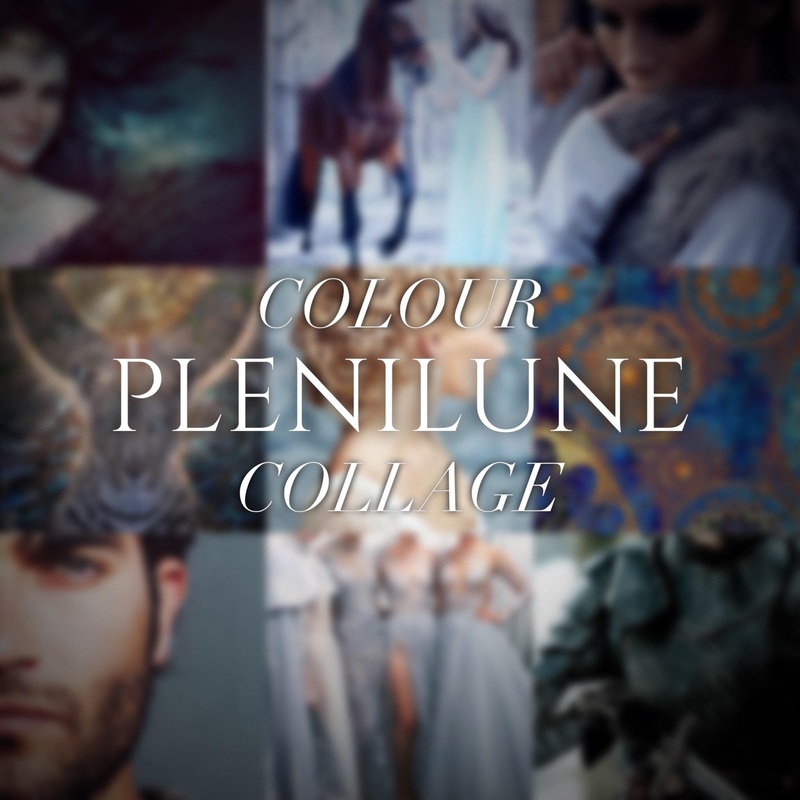 Installment number two of my Plenilunar colour series...you'll notice below that I've done scarlet & I'm skipping orange. Personally, I dislike the colour orange in most of its combinations + arrangements: it's literally the ginger stepchild of the colour spectrum. Okay, hatin' on orange aside, orange is collected under the scarlet heading in Plenilune; there isn't so much hue differentiation there as we have here, so if you happen to really, really like orange, go back + read my scarlet post. usual disclaimer, all images used are from pinterest & none of them belong to me. art is all about sharing, right?? Gold. Rich, opulent, & in high demand among anyone who is anyone in the Honours. Gold is typically worn, whether as jewellery or goldwork embroidery, & is not usually made into things. In the ancient world, if you didn't cut your wine with water, you were considered an alcoholic; in the Honours, if you start decking your halls with groaning tons of goldware, you're often considered tacky. Gold retains its charm with rarity, & Honourfolk are aware of this. Gold is considered a good-omen metal, a physical embodiment of the element fire; as the "meteor" of colours, it can represent any of the twelve heavenly houses + their associated aspects of life, with the exception of the House of the Two Dolphins (which is associated with water + death, so not really gold's speed, you know?). 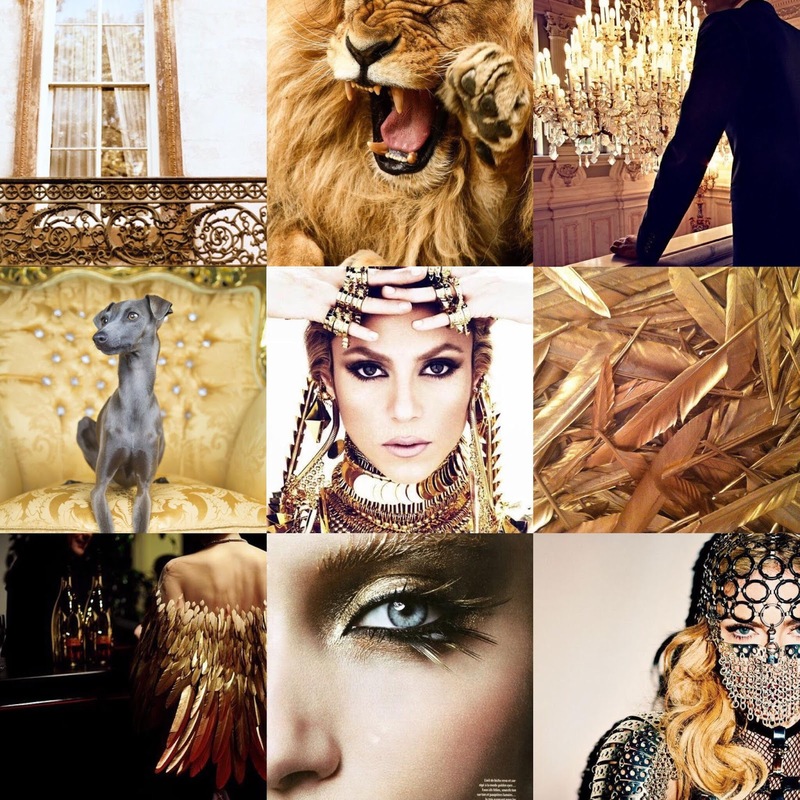 In my writing, I find that I use gold to evoke emotion as well as visual impression. Memories + feelings are frequently elicited into the foreground of our awareness by something as simple as a particular scent (dior j'adore perfume always reminds me of one of my aunts, her house, & the early desire to be pretty + fanciful); colour can do the same thing, especially (I find) through writing it, which bypasses the eyes & goes straight to the mind, & isn't hindered by any material image. I can link gold with a sense of richness, a sense of nostalgia, a feeling of energy just on the verge of being kinetic... Mercury's colour is quick to carry any notion I like. Do you use gold? Does gold represent anything special in your writing? Tell us what you think! If you make your own colour post, please link to it in the comments so we can all enjoy it! HOW TO COLLAGE || I use the LAYOUT app with images saved off PINTEREST. That way I can arrange them however I want, & presto! I have a pretty collage. That's honestly all there is to it. thank you so much for reading! i hope you enjoyed it. see you soon! Ideally aesthetically I prefer white gold and silver, but comfort/emotionally I prefer gold for its warmth. I like rose gold too (my sister's role gold engagement ring is stunning and draws the eye in a way most rings don't, but for my own I would still prefer white) My sisters were talking about our HP houses, everything but Gryffindor, but we all agree that Gryffindor's common room is preferable,and I think a lot of that is to do with the red and gold colors. I love color theory and the emotion or statements colors evoke. This is why I'm not a neutrals person; I think of them as depressing or austere. Livia Rachelle - Ooh, I do love a good rose-gold. The past few years have seen its rise in fashion demand, & I'm not sorry for that. XD Rose-gold &/or blush is one of my personal decor colours. That's interesting that neutrals strike you as depressing or austere in colour theory, when I've found their use is some of the strongest statements that can be made. There's a kind of devil-may-care independence to their usage without the prop of spectrum colours that I like. My writing doesn't reflect this neutrals-usage, but my wardrobe does. XD I wear blacks + greys, & save the colour for my writing. There's a place for everything! I like that bit about using gold sparingly for more effect. A little bit of gold makes a striking image. But I find that when there is too much gold, the effect is negative. Perhaps tacky, but I tend to think of it as a sign of being power-hungry. Blue - Like the Midas fable. Maybe this is a more modern perception of aesthetic, especially since our time is categorized by wealth other than gold, but that much gold is just too much, & you lose the value of it for its abundance.